The Annapolis office celebrates its grand re-opening! On Tuesday, June 12, the Annapolis office opened its doors to the community to celebrate its grand re-opening. The office was jammed with agents, managers from other offices, guests and VIPs who enjoyed lunch, toured the new space and marveled at the renovations. The event kicked off with a ribbon-cutting ceremony. Wes Adams, State’s Attorney for Anne Arundel County, and Yannick Myss Parker of the County Council’s office joined PenFed Realty leadership in cutting the ribbon. They also presented citations from their respective offices. 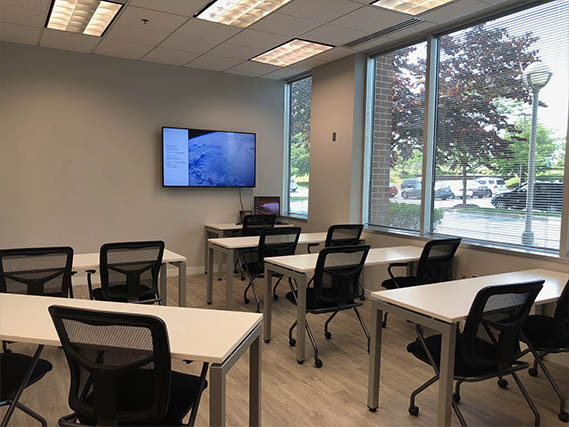 The redesigned space showcases a modern design, upgraded technology and brand new furnishings, creating a perfect place for busy, successful real estate professionals. The refreshed office reflects the vibrant, bustling energy of Annapolis, and will serve as a hub for agents to serve their clients for years and years to come.